Hard Rock Cafe Oil Painting, 16×20 in. 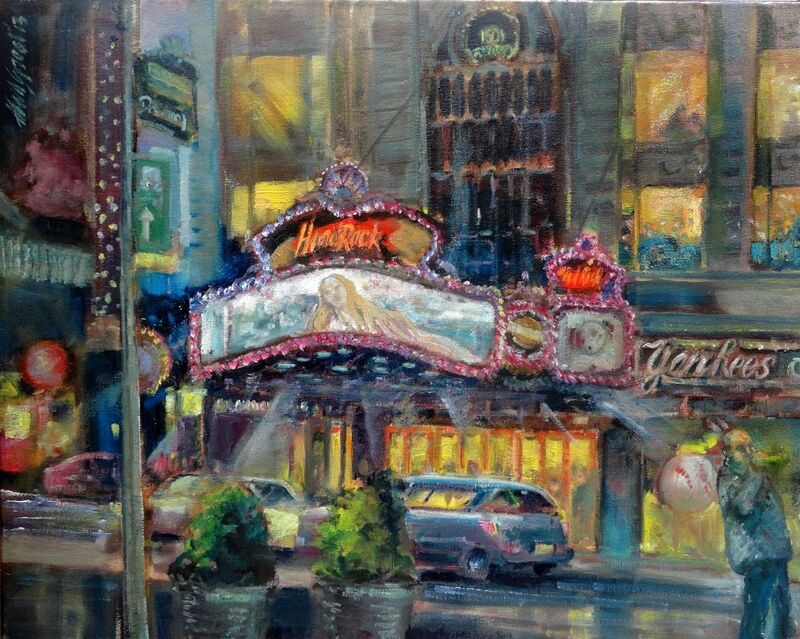 This lively piece is of the famous Hard Rock Cafe located on Broadway Avenue in New York City. This original painting is painted in tones of umber, blue, red, violet, green, gray, gold, orange and white.